Flame-resistant workwear is on double duty. Your fire-resistant gear needs to work as hard as any denim jeans and keep you safe on the job as well. Ready to protect from electrical arc, flash fire, combustible dust and more, the line of flame-resistant work clothes ... (see full details) (see specifications) #10016173. Flame-resistant workwear is on double duty. Your fire-resistant gear needs to work as hard as any denim jeans and keep you safe on the job as well. 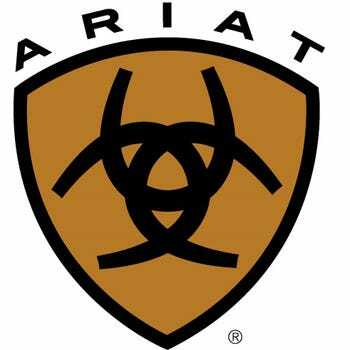 Ready to protect from electrical arc, flash fire, combustible dust and more, the line of flame-resistant work clothes Ariat has to offer is ready for anything and has a reputation for toughness that's well earned. When it comes to working hard, Ariat has your back (or, in this case, your backside), and it keeps you looking good, too. These Ariat Men’s FR M4 Boundary 10016173 Clay Blue Boot Cut Jeans are packed with comfort and durability with a touch of easy style that keeps you looking good while you’re doing your job, too. These heavy-duty 100% cotton denim jeans are classified as CAT 2 with an ATPV of 20 (cal/cm2). They’re also NFPA70E and NFPA 2112 approved. Ariat FR jeans are job site tough and tailgate ready, keeping you looking good, no matter where you choose to wear them. The ring-spun denim is 100% cotton comfort with no-rub comfort inseams for less irritation in your work day. Anchored belt loops reinforce this vulnerable area of your work jeans because not much can ruin a good pair for denim blue jeans quite like a busted belt loop or two. Ariat doesn’t want that to happen to you, so these loops are reinforced and anchored, so they’re not going anywhere. The relaxed fit design offers plenty of room to move in the waist, hips, and thighs so you can work comfortably without the need for readjusting. The comfortable low rise waist sits just right for style and for looks, nothing too high or too low, while the boot cut leg openings fit over nearly any work boots with ease. That’s not all - these Boundary boot cut jeans have plenty of bonus perks built right into their design. First, there’s the heavy-duty zipper and hardware, made tough enough to last and adding to the overall durability of the men's flame-resistant jeans. The extra deep front pockets hold your important items in a more comfortable spot, lower on the legs rather than the hip crease, so you don’t have to adjust when you sit. The handsome dark wash is accented with fashion back pocket designs that give Ariat jeans their unique style. The light accents of sanding and tacking give this men's workwear just the right amount of style you can wear them anytime and know you look good. Above all, these work jeans are safe for environments requiring FR clothing. These heavy-duty 100% cotton denim jeans in a lightweight 13-ounce design are classified as CAT 2 with an ATPV of 20 (cal/cm2). They’re also NFPA70E and NFPA 2112 approved. Tough, durable, and ready for just about anything, these Ariat Men’s FR M4 Boundary 10016173 Clay Boot Cut Blue Jeans from Working Person's Store deserve a spot in your flame-resistant workwear line up. These jeans feel just as good if not better then a pair of high end designer jeans. I wear them for work because fire resistant is required but i also wear them as my weekend and riding jeans. They are a relax fit and feel soft to the touch not stiff like some other brands. Great job arbor wear, looking forward to buying more in the future. I am a country girl and I am always in some type of boot whether is cowgirl, ropers or my Harley boots and finding good authorized work jeans is rare. These are absolutely amazing and they hug my hips and form the right way in the right places. They can take some abuse and won't fall apart like cheap stuff. Ariat Work FR Jeans: Men's FR M4 Boundary 10016173 Clay Boot Cut Jeans is being added to your cart.